Reineke Hameleers is the director Eurogroup for Animals and Philip Lymbery is the CEO of Compassion in World Farming. It wouldn’t surprise anyone if consumer awareness surrounding fish and their welfare was low, as indeed, fish welfare labelling is almost non-existent. Over the past 15 years scientists, including EFSA, have produced extensive research to demonstrate that fish are sentient beings, and like mammals, capable of feeling pleasure and pain, with unique minds, family ties and a social life. They are now acknowledged to have species-specific welfare needs. A recent public survey conducted by ComRes shows that the majority of EU citizens believe that finfish should be better protected. The dramatic headline findings include 79% of EU citizens thinking that the welfare of fish (salmon) should be protected to the same extent as the welfare of other animals we eat and that it should be better protected than it is now. The findings also clearly show that consumers want welfare guarantees on their fish products (79%) and that welfare guarantees are an indicator of the product characteristics that are less visible but most important to them (quality and sustainability) as well as assuring them that the fish was well treated. The bad news is that we are facing a huge gap between the consensus in science, citizens’ expectations, and the reality for fish. At the end of 2017, the European Commission published a study into the welfare of fish during transport and at slaughter in European Aquaculture and followed this with a report to Parliament and Council. Despite findings that international standards are being failed across most sectors of European aquaculture, the Commission disappointingly recommended that the European Union take no further regulatory action, justifying that by stating voluntary efforts would be enough to achieve the same outcome. Examples of this failure include the fact that one of Europe’s largest aquaculture sectors, sea bass and sea bream in the Mediterranean, is failing to meet the World Animal Health Organisation (OIE) standards to which all EU member states are signatories. The common practice of asphyxiation in ice slurry is another example of failing standards and causing prolonged suffering, while far more humane slaughtering techniques exist. 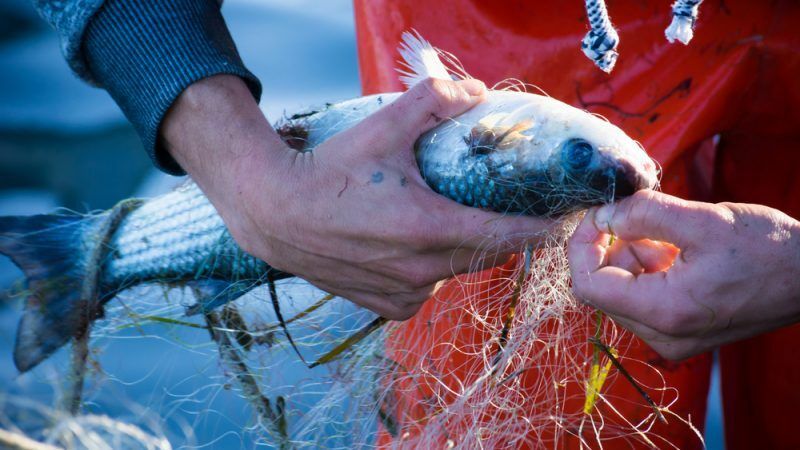 Last week’s event on fish welfare hosted in the European Parliament, found that our society is facing serious fish welfare issues – many of which are hidden – and that if these were to be revealed, civil society would be outraged. One of the key causes of suffering is the increase of intensive aquaculture systems taking off at a fast pace. If the rapidly increasing human population wants to eat fish in the future, given the state of our world’s oceans, there’s no other option than to move to farming fish. So far, the aquaculture sector and regulating bodies haven’t embraced fish welfare – although this should change, given the promising pledges made by certifying bodies at the Seafood Global Expo earlier this year. A group of active MEPs within the European Parliament Intergroup for the Welfare and Conservation of Animals is determined to make this happen. They call for introducing higher welfare measures for the rearing, transport and slaughter of fish and to better inform consumers. They plan to put forward a motion for a resolution on behalf of the Parliament soon. Given the inherent issues of eating fish, it would make sense for these higher fish welfare measures go hand in hand with incentives for lowering fish consumption. The time to put fish welfare at the forefront of the political animal welfare agenda is now. All the regulatory tools are in place, there is a growing political call from stakeholders across the board and our citizens are demanding it.